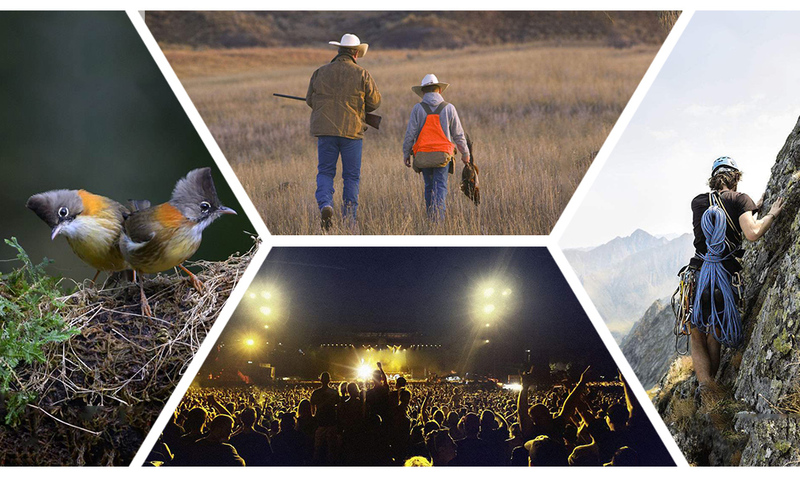 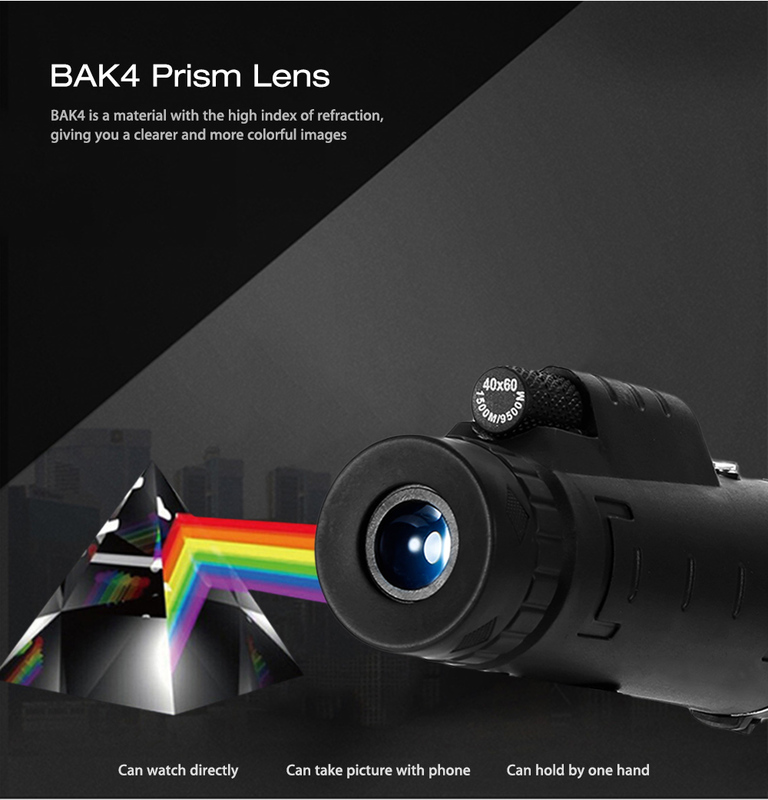 – HD vision monocular: 40X magnification with BAK4 prism lens design, giving you a clearer and more colorful scenery. 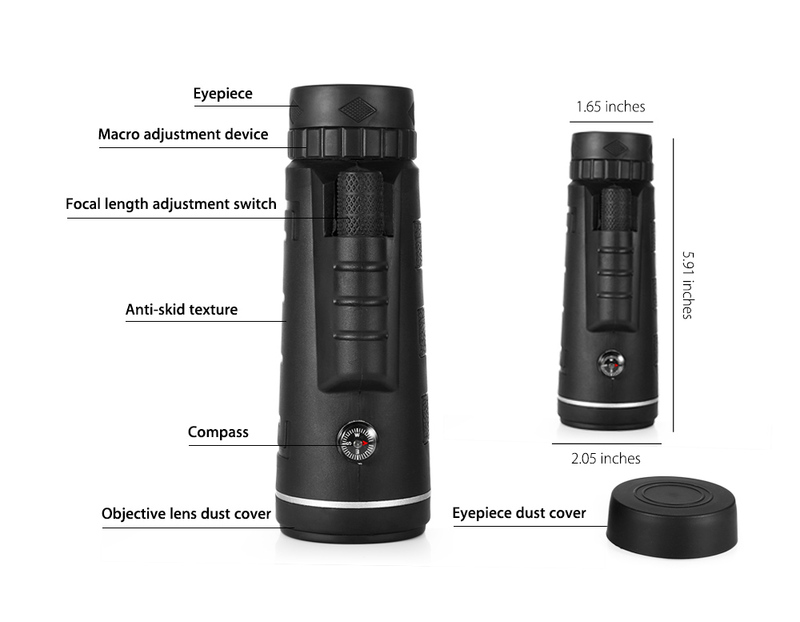 – Easy to focus: it can be folded to match the distance of your eyes, suitable for both adults and kids. 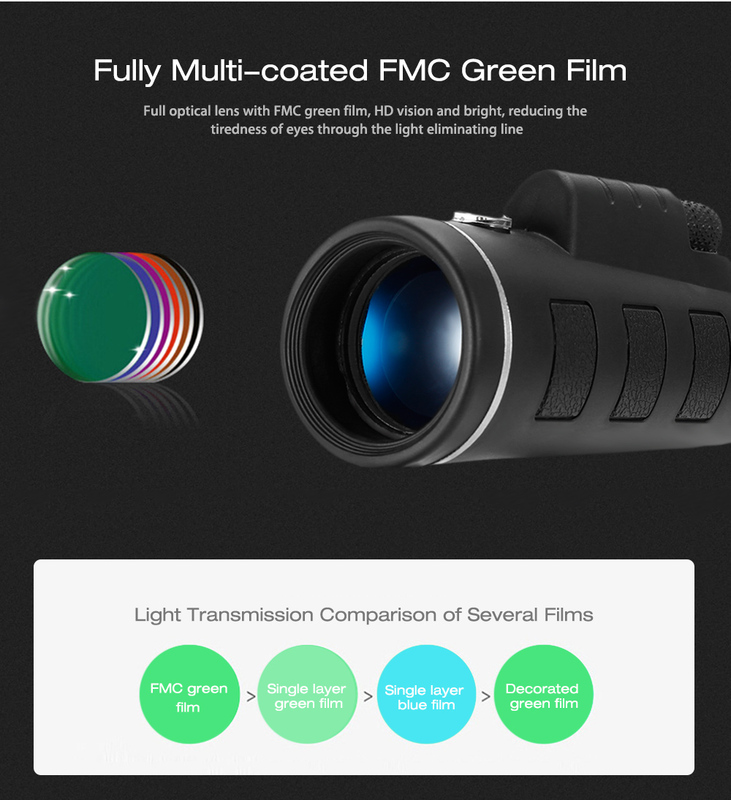 – Wide field of view: FMC multi-layer enhanced green film increases light transmission for brighter and higher-contrast images. 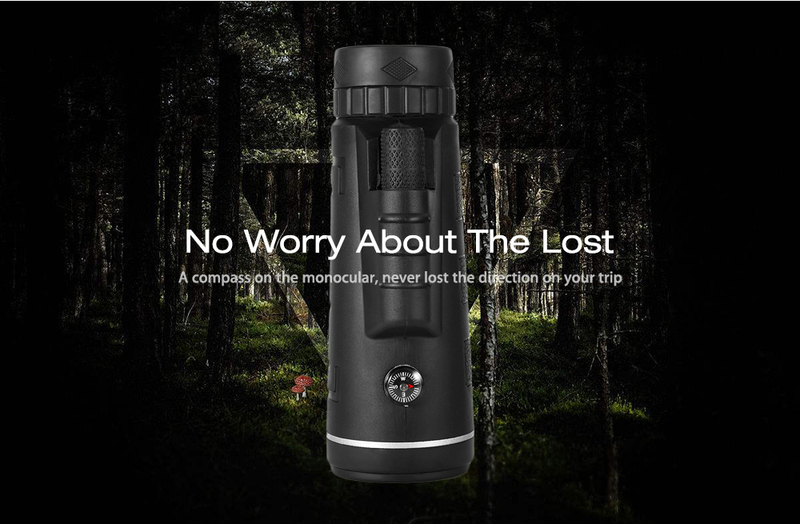 – With the compass: a compass on the monocular, never need to worry that you could be lost on the trip. 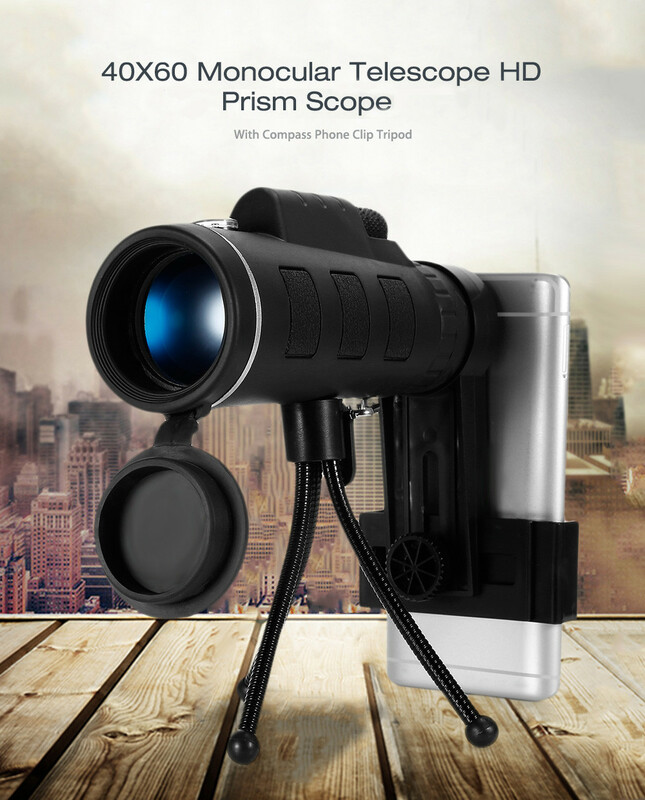 – Equipped with a tripod and phone clip: set your hands free to see the more beautiful view through your phone. 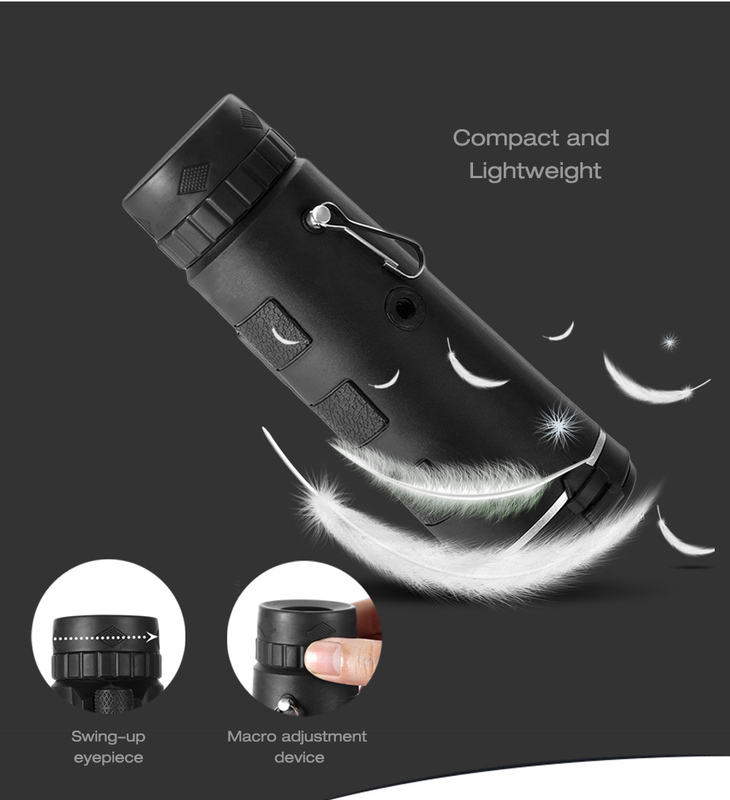 – Single hand operation: lightweight and compact, easier and more convenient for outdoor using. 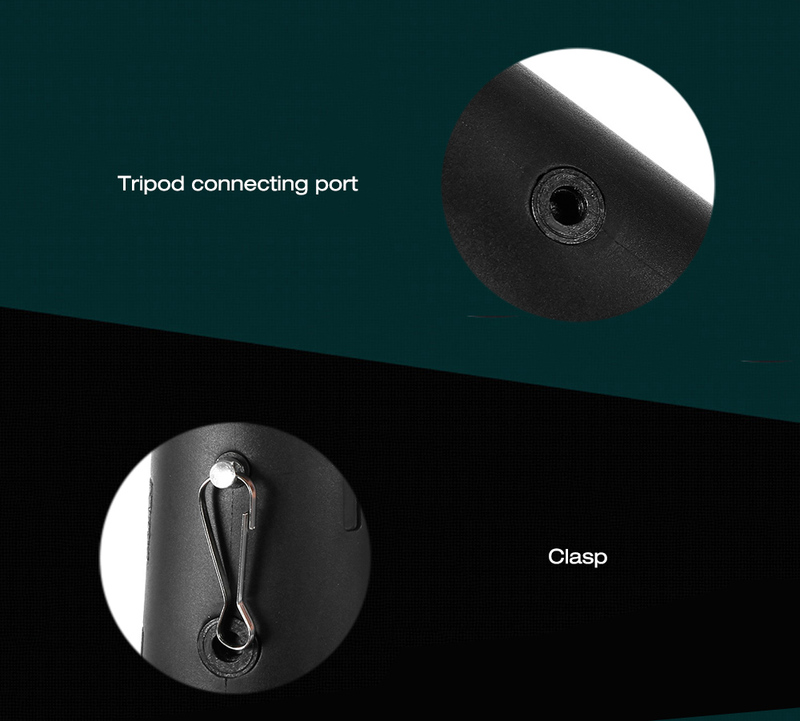 – Durable to use: rubber coating protects the body from impact and wear. 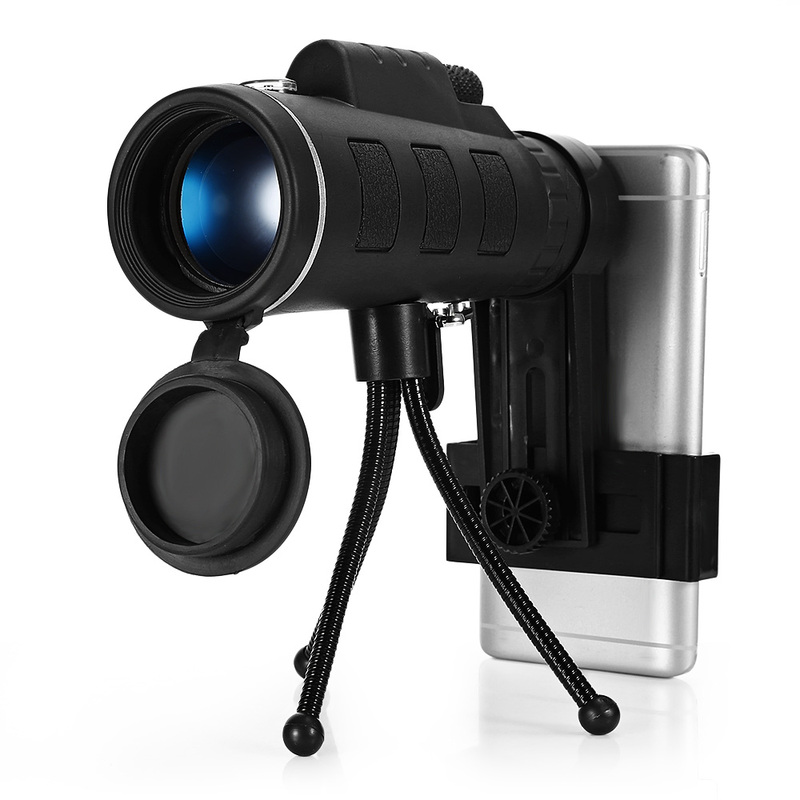 – Further distance vision: the farthest visual distance can up to 9500m, it is 20 times further than other ordinary cameras. 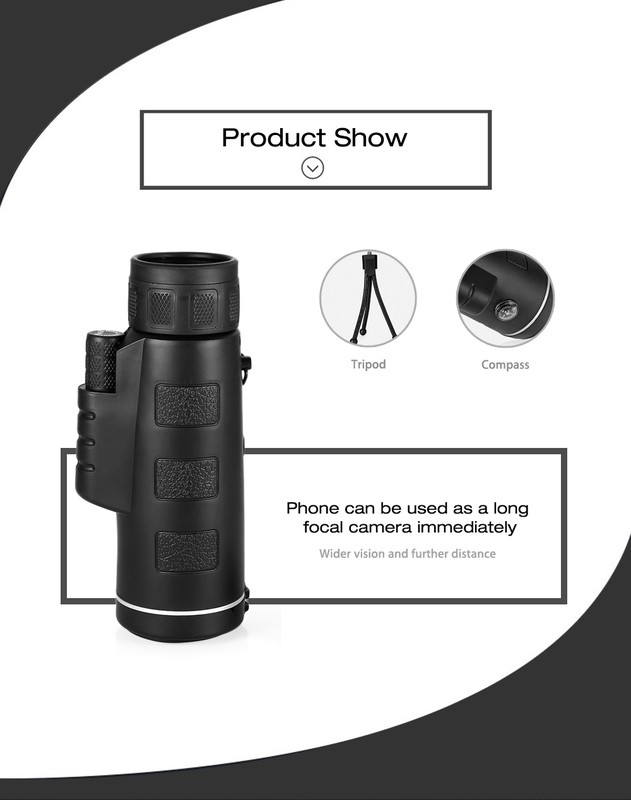 – Not compatible for iPhone 8 and above. 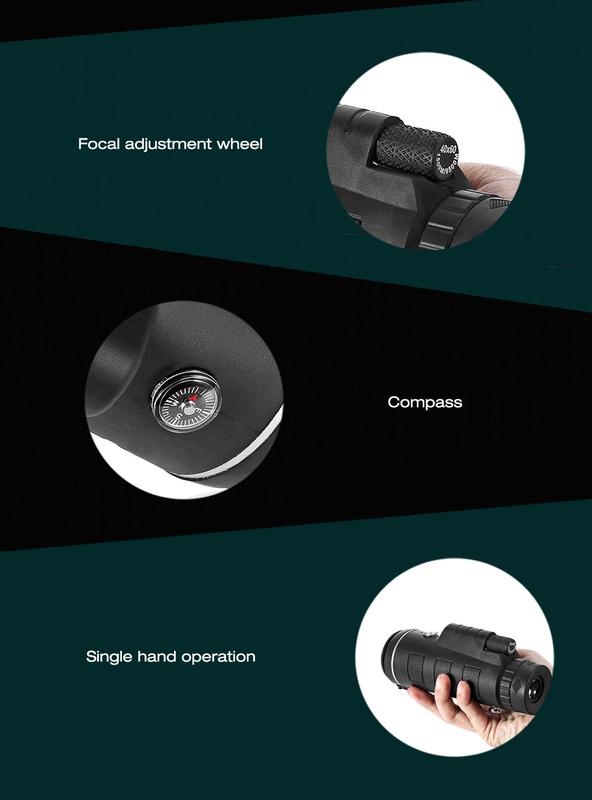 – The compass on the telescope is only designed for decoration.